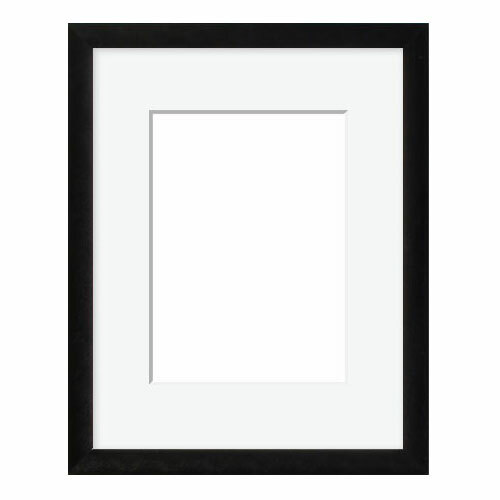 This black picture frame features a medium-width 7/8" rectangular profile and a brushed, satiny black finish with a contrasting white rag mat — the perfect photo frame! I have no longing for the "good old days". Upload a picture, select a mat, select a frame, and a week later it arrives. And the whole process takes less time than driving to frame shop. My husband and I took a couple of great trips in 2016 and wanted to frame some of our best photos to share with our family members as Christmas gifts. We ordered a total of 8 of these frames. While they are a bit pricey, in my opinion, they were perfect for this framing project. I ordered three of these frames. Two arrived well; one arrived without a matte and with broken glass. I sent an email to customer service and they quickly sent a new frame, which was great. But the replacement frame also had broken glass... By this point, I was over it and just didn't take it further. So I only have two frames in good condition. The breaks in the glass are small but noticeable, so I can't hang these up anywhere unless I'm okay with people noticing cracks and breaks. Hello Jennie! Thank you for letting us know about your experience. We regret the rare service breakdown you experienced. We appreciate you allowing us to find a viable solution. Since the replacement did not arrive in excellent condition, we have added a company credit to your account. Please give us a call if you need further assistance. We apologize again for the inconvenience. Have a great day! Hi Julia. Thank you for your review. We appreciate your feedback and have passed this along to our team. If there is anything else we can assist you with, please let us know. Thank you for your business and have a great day! Purchased these in the past to display my 8x10 boxing autographed photos. Liked the metal frame and also the price. I've purchased 10 of these frames over the pat few months. 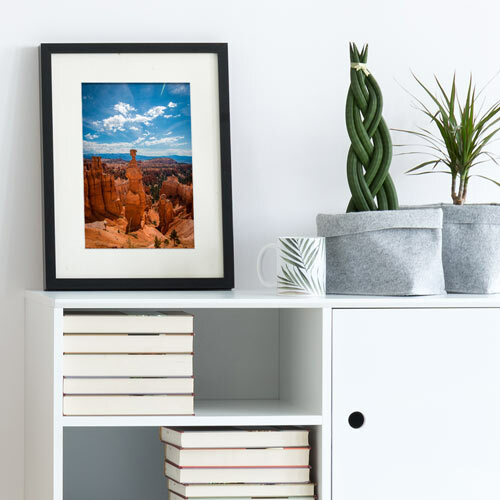 They are ideal for framing my travel photography. High quality and professional appearance. I was looking for a simple, but elegant frame with a nice mat. This one is what I was looking for! Can I get another color in the mat? BEST ANSWER: This frame comes already complete with the white mat. You can order a mat separately by phone at 1-800-332-8884 with our customer care team. Thank you! Is the mat thick enough to use for pastel paintings? BEST ANSWER: Hello Catherine! The mat is 8 ply and is thick enough to use for pastel paintings. If you need further assistance, please let us know. Happy Framing! I need to hang by wire....does it have mounting hardware that supports adding wire for either direction? BEST ANSWER: Hello! Yes, indeed this frame includes the hanging hardware which can be used in either landscape or portrait orientation. Please let us know if you need further assistance. Happy Framing!